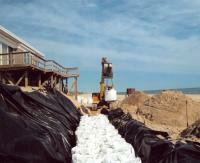 Shorebags can be installation quickly and removed easily. 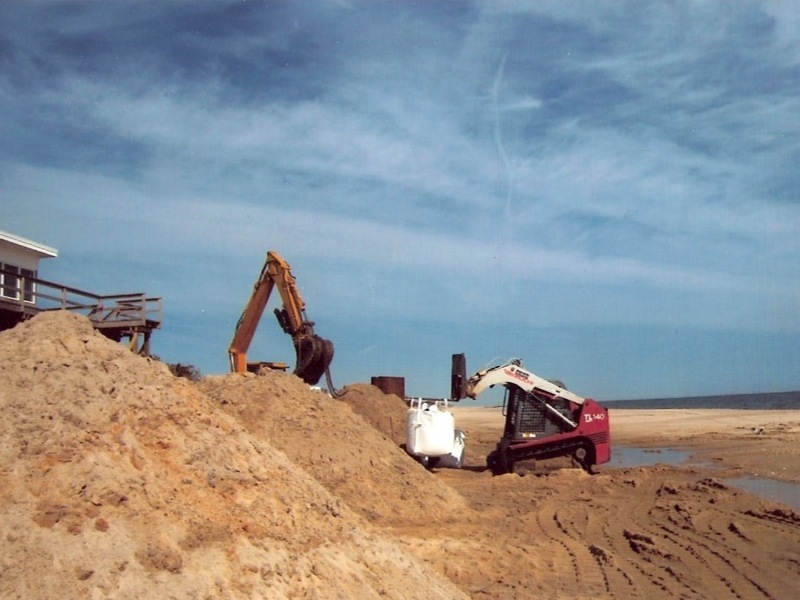 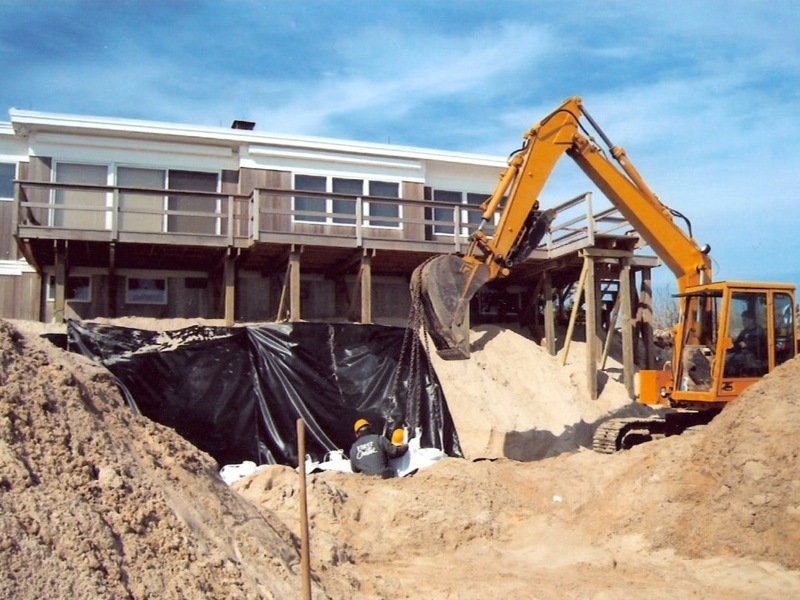 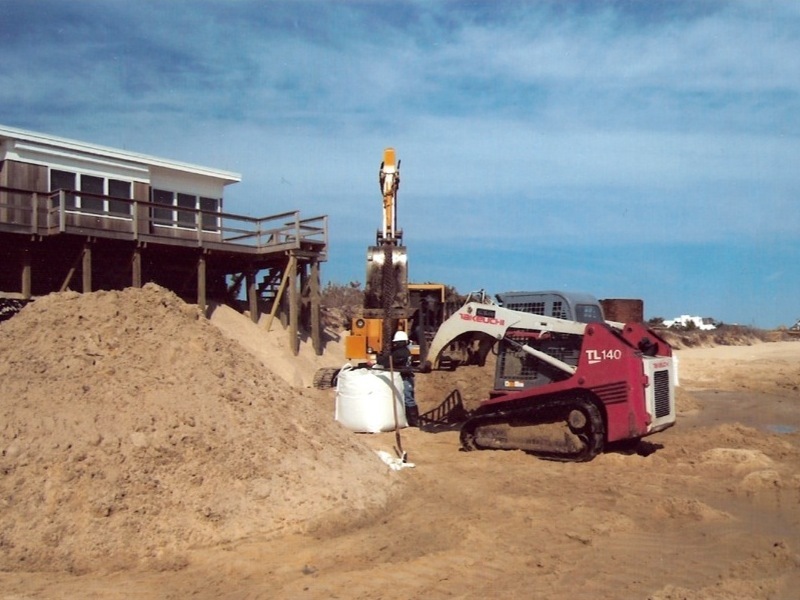 They provide temporary or lasting protection from storms and give you time to rebuild the natural dunes or bluffs that protect your property. 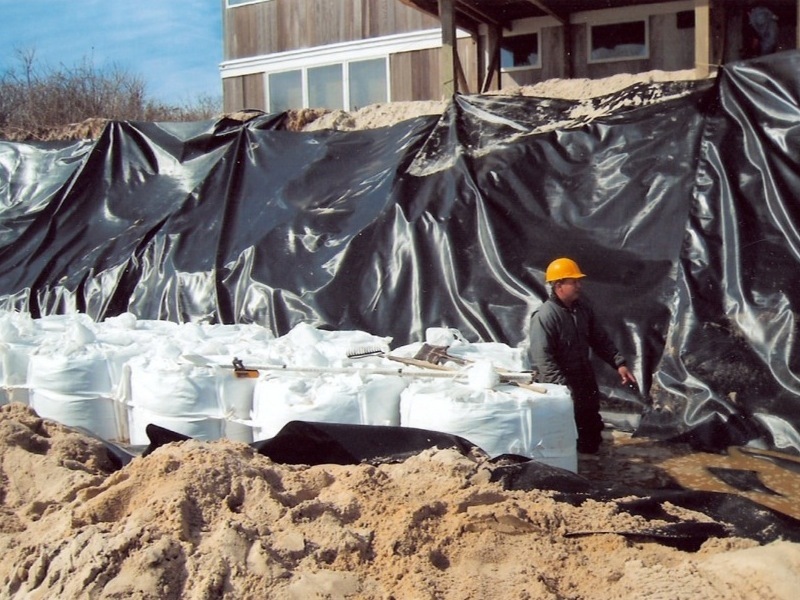 Our unique design and installation technique gives the porous Shorebag the strength of a solid bulkhead, but none of the negative effects. 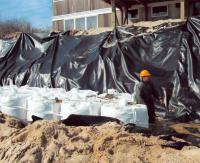 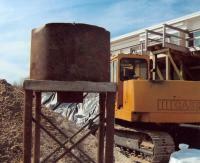 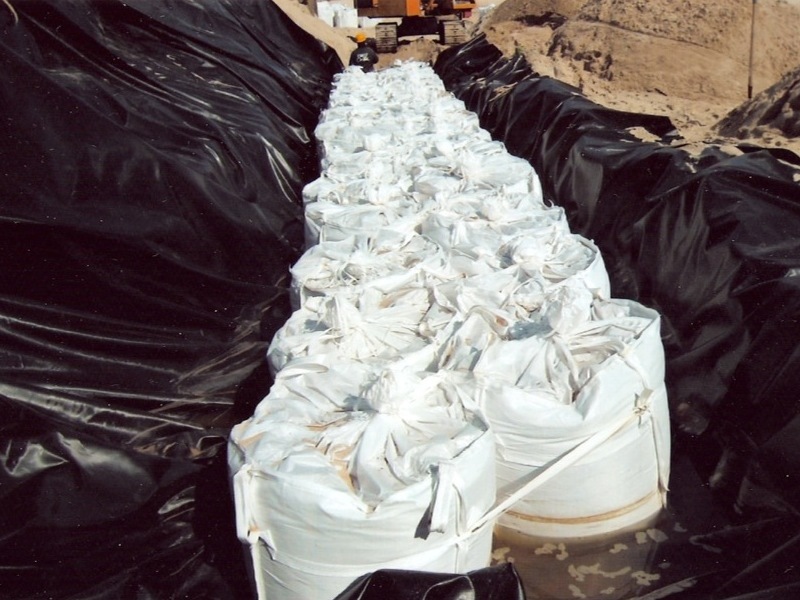 A typical installation involves a trench being dug in front of your remaining bluff to help the stabilize the bags. 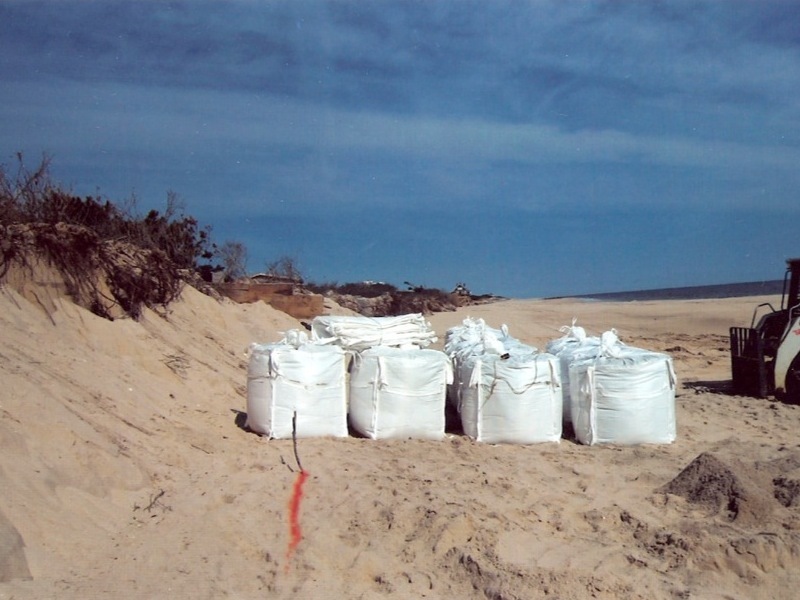 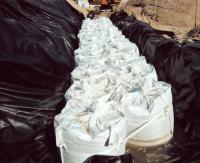 Each bag is filled, on site, with approximately 2500 pounds of native sand. 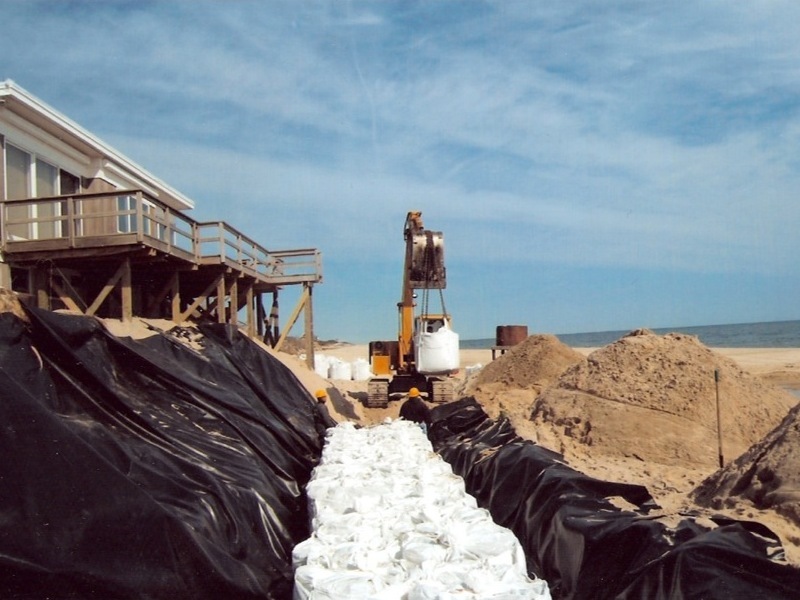 The bags are lifted and carried into place and then linked and stacked to form a solid structure. 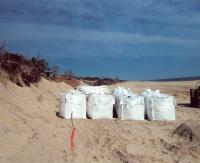 An anchor is buried in the existing bluff to prevent shifting during the worst storms. 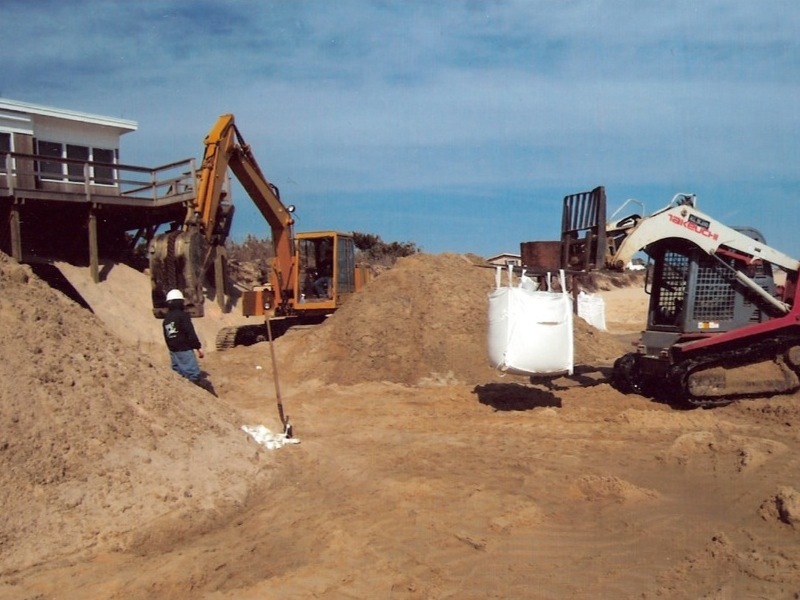 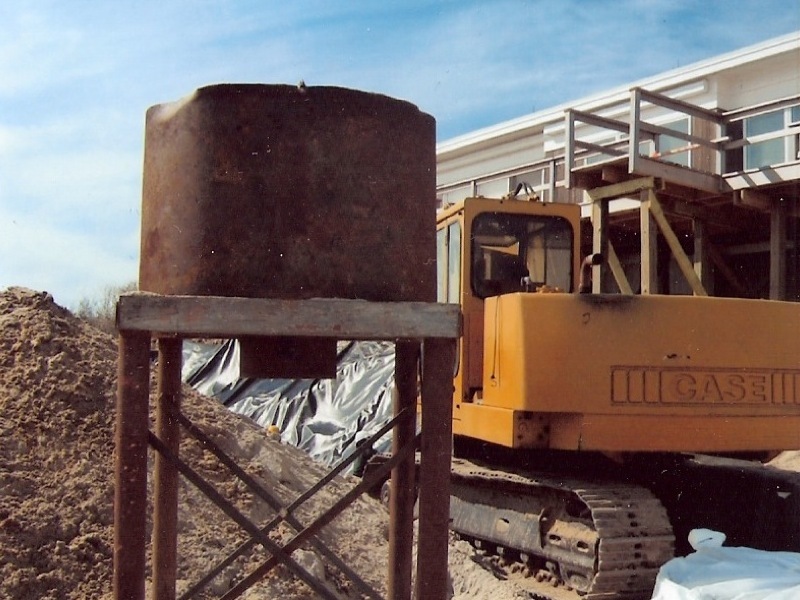 Below are two cross-section diagrams, showing how a typical installation might be performed, and photographs of an installation in the Spring of 2010 in East Hampton, NY. These photographs were taken March 11, 2010 before a big nor'easter hit the Long Island area on March 13. 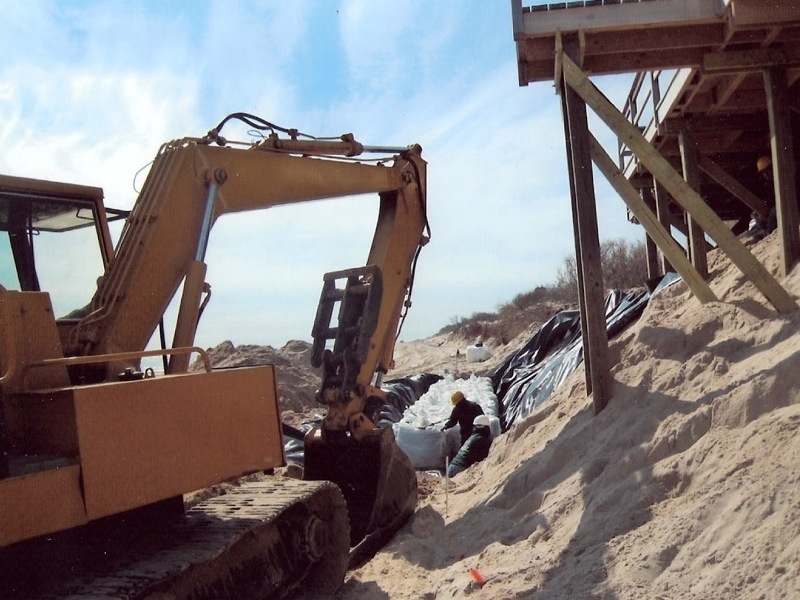 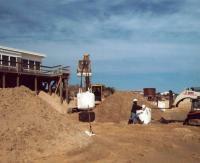 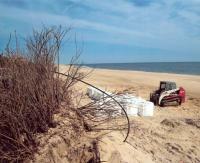 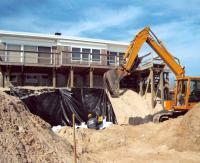 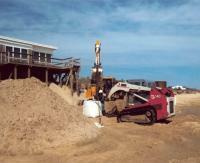 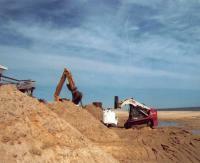 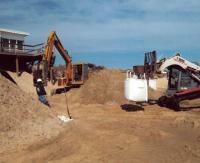 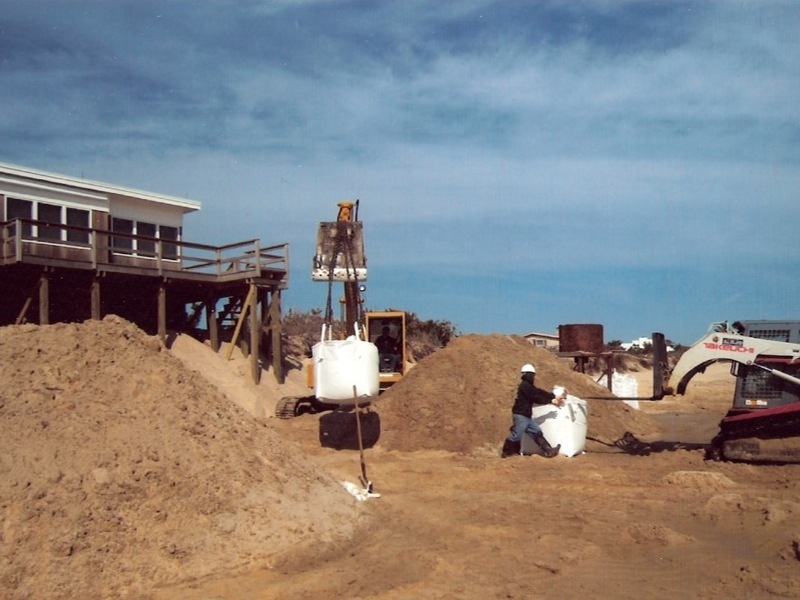 Thanks to Shorebags, the homeowner was able to save his house and now plans to rebuild the dunes.